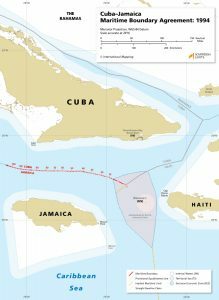 The maritime boundary between Cuba and Jamaica was established through a bilateral agreement that was reached in 1994. The boundary, which entered into force on 18 July 1995, was based on the equidistance methodology and composed of 106 boundary points. 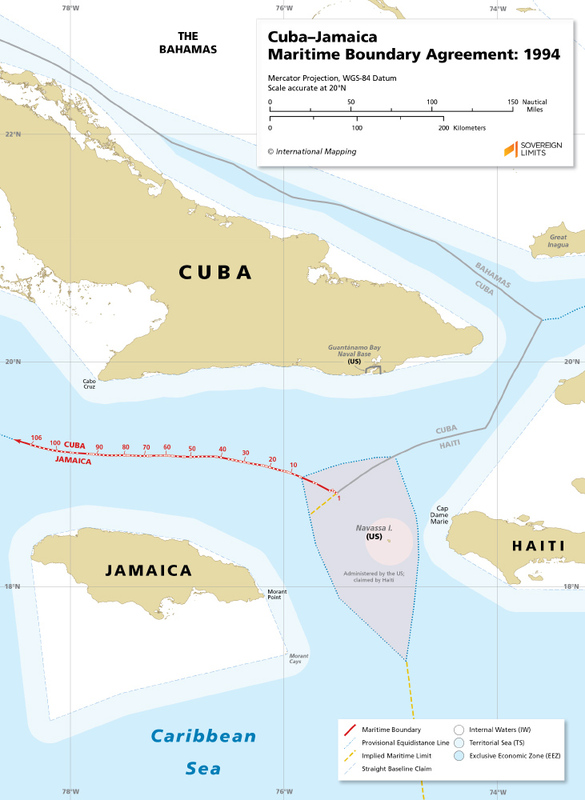 From point 106, the final and westernmost point, the boundary was then defined as proceeding along a geodesic in a “westerly direction to a point to be determined by subsequent agreement.” This “point to be determined” was undoubtedly a reference to a tripoint with the United Kingdom’s Cayman Islands.